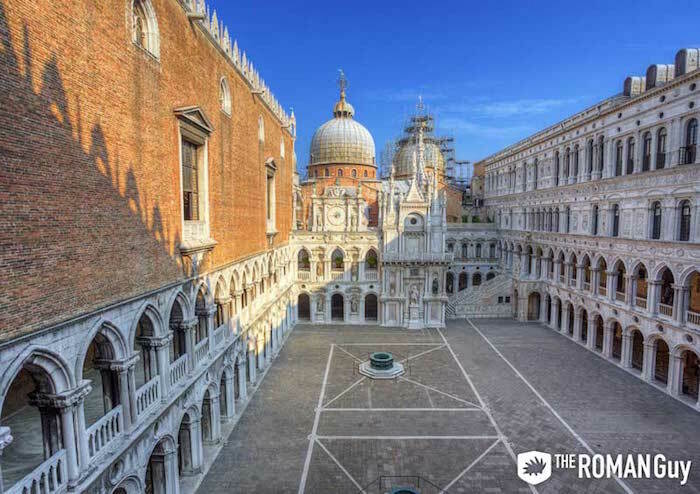 Located in St. Mark’s Square, you’ll find one of the top attractions in Venice, the Doge’s Palace. Also known as the Palazzo Ducale, the Doge’s Palace was the center of political power in Venice. 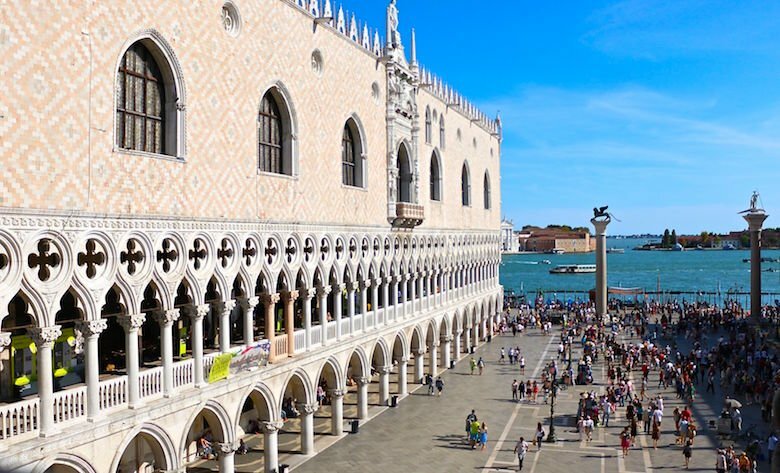 From Venetian authorities to infamous prisoners, this palace is filled with great stories and our Doge’s Palace guide will tell you everything you need to know. 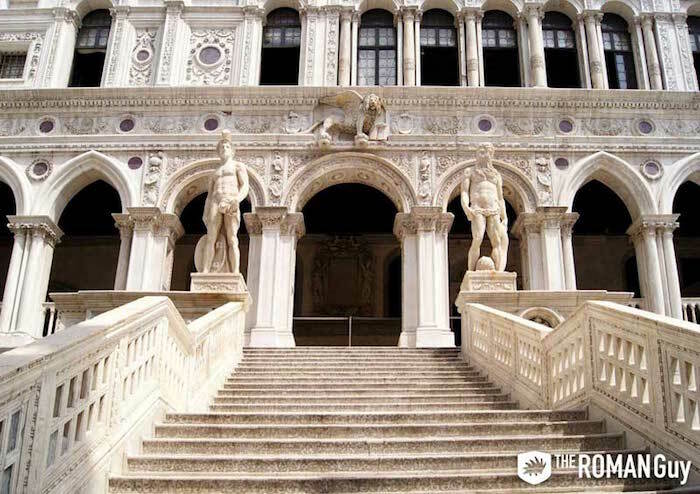 See the gorgeous architecture and learn about the legends of Doge’s Palace up close. 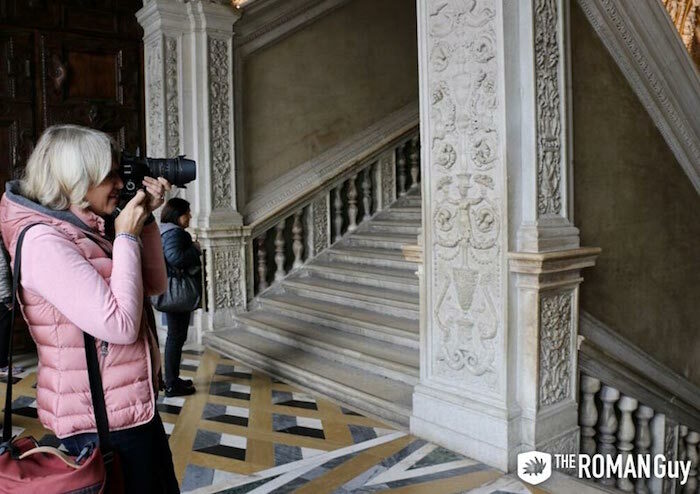 Our Venice Doge’s Palace Tour includes skip the line Doge’s Palace tickets, an expert guide, and an informative and engaging tour of the mystifying palace itself. 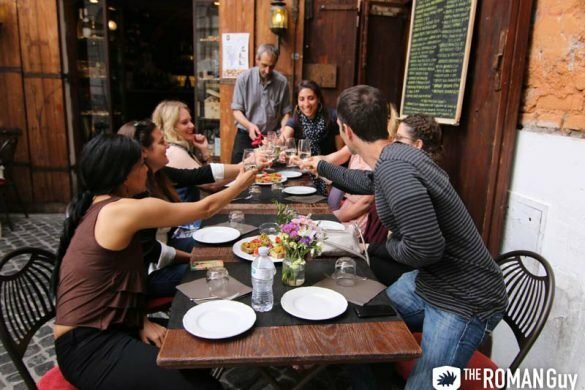 And, check out some of our other Venice tours while visiting the Floating City. Originally built in 810, the Doge’s Palace was the home of Venice’s public administration, where important decisions were made. This Venetian highlight was not once what we see today. The Doge’s Palace had to be reconstructed more than once due to fires. This led to the Gothic Venetian architecture we see today. 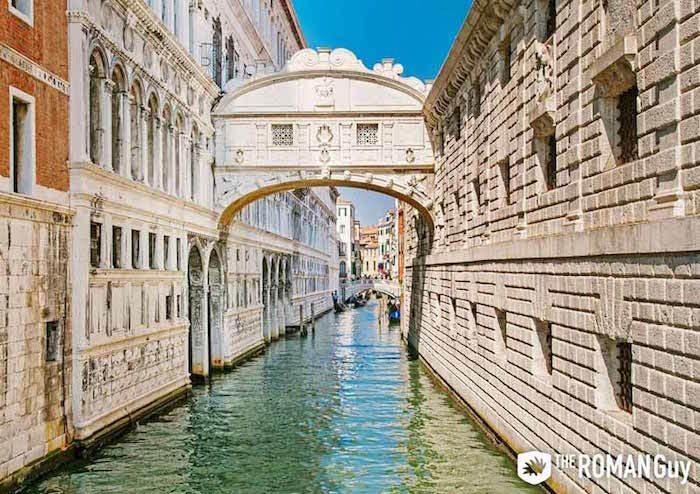 The fortress-like palace not only held the seat of the Venetian republic, but was also connected to its prison by the famous Bridge of Sighs. Legend says prisoners looked out the window trying to capture one last glance of beautiful Venice while they sighed before heading to their cell, hence the name. One of Venice’s most famous prisoners was Giacomo Casanova, who escaped his cell and fled to Paris. 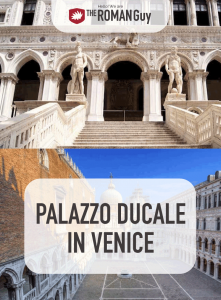 When entering the Doge’s Palace, you’ll find yourself in its courtyard where you’ll see the Scala dei Giganti. At the top of the stairs, there are two statues. One of Poseidon, representing Venice’s coastal trade power. The second statue is a representation of Mars, symbolizing the political power of the trading empire. In between these two statues is the winged lion, the symbol of Venice’s Patron Saint, St. Mark. The Great Council Chamber inside the Doge’s Palace is one of the most amazing rooms you’ll see in Europe. Surrounded by astonishing pieces of art, this room is where the Senate would deliberate and come to agreements about financial matters and other public concerns, like the sentences for the prisoners. One of Doge’s Palace’s artworks you’ll be able to admire in this room is Tintoretto’s Paradise. This painting is one of the largest oil paintings in canvas in history. The painting represents heaven on earth. It is said that its purpose was to look over the council in order for them to make appropriate decisions. Another highlight of the Doge’s Palace is the Bridge of Sighs which connects the Palace to its prison. In the prison, you’ll find the pozzi or wells. These pozzi were a place of detention for prisoners, and one of the worst to be in. As you can deduce from its name, these wet little cells were hardly ventilated and reeked, making them extremely miserable cells for prisoners. Other types of cells were the Piombi. These cells were reserved for people who committed political crimes or who had to serve short period sentences. The famous Casanova was imprisoned in both types of cells for a period of time. A dreaded place by the accused was the Chamber of Torment. Here interrogations took place, where criminals were pulled by their arms, while these were tied behind their back. A very painful position to be questioned in. This torture would continue until the prisoner would confess to the crime committed. 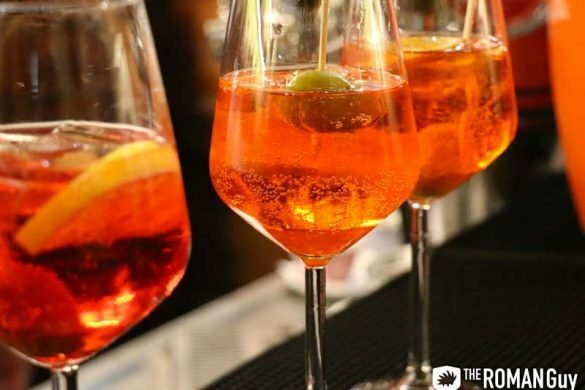 If you don’t want to miss one of the main highlights in Venice, then you should take these helpful tips into account. 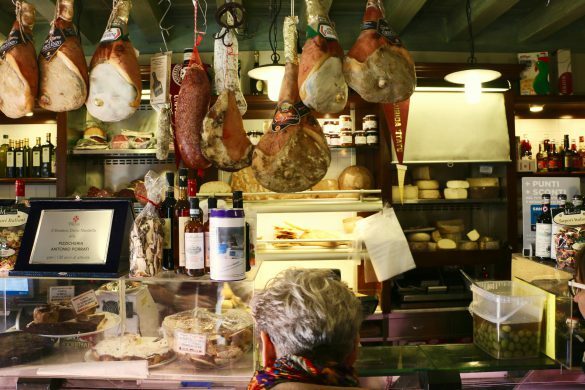 You can also discover Venice’s darker side by following us on our Venice Doge’s Palace Tour. This tour is not your typical one. Experience some of the beautiful parts of the palace, as well as some of the darker side. Listen as your guide tells gruesome tales of some of the prisoners kept there.